Jacqueline Jones of Kesgrave and Christina Edwards of Ipswich have decided to challenge themselves by walking 63 miles from London to Brighton. The pair, who are out training nearly every day, are taking on one of the action challenges arranged by the Ultra Challenge Team and are walking continually through the night from Richmond Park in London to Brighton race course during the Bank Holiday weekend at the end of May. They are raising money for Guide Dogs for the Blind, a cause very close to Christina’s heart as her mother and a friend, Carolyn, are both registered blind. Carolyn is currently on the waiting list for a new dog. 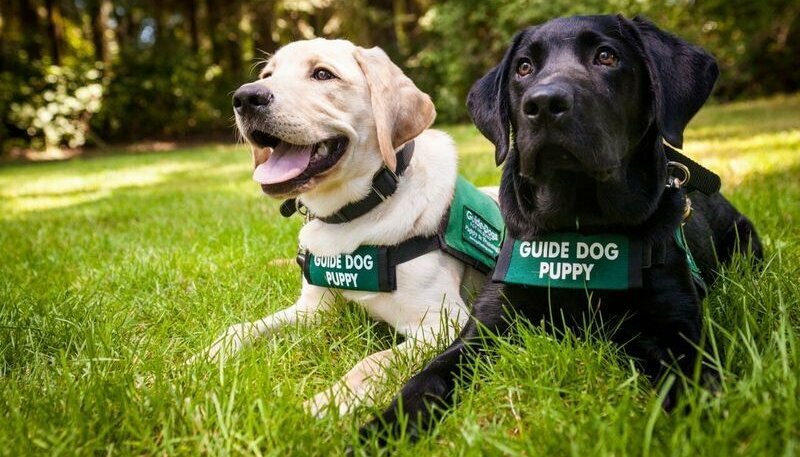 She says stepping out with her old guide dog for the first time and independently gave her the most liberating sense of freedom. Over the last five years she has regained a full and active life, a successful partnership really is life changing. Mobility for her at the moment is quite challenging as she awaits a new match, but she can’t wait to be in the community again with one of these amazing dogs by her side. Neither Jacqueline nor Christina are looking forward to walking over the South Downs during the night, but have support from Craig (Christina’s husband) who has promised to be their backup/support driver carrying any spare kit in his car. Christina also has an added fear of cows so they are hoping not to encounter too many on the route! JustGiving sends your donation straight to Guide Dogs and automatically reclaims Gift Aid if you are a UK taxpayer, so your donation is worth even more.